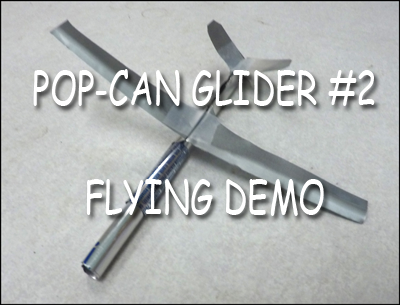 Years ago while on a camping trip at the ocean my youngest son and I were sitting in our camp chairs with nothing to do and decided to try to make a gliding plane from an aluminum pop can. We had just finished having a soda so began trying different ideas and methods to come up with something that would fly. We eventually came up with the plans you see here. As we began tossing our gliders in the air other children in the camp ground came over and began asking if we could make them a glider also. We said we would if they would bring their own pop cans. Before long they were coming back asking for another because the first had gotten caught in a tree. Here are two videos you may want to watch in order to build your own glider. Don’t expect ideal results on your first try. 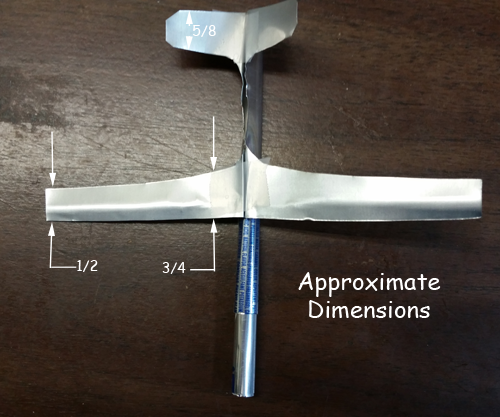 And take time (as shown in the videos) to make lots of little adjustments until your glider soars gently through the air.